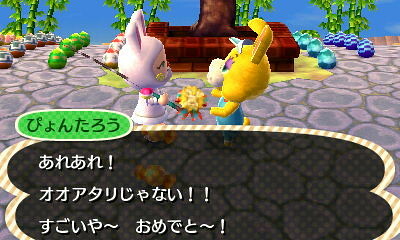 On 3/31, all the villagers of Wasabi were excited to celebrate Bunny Day! This latest major holiday was a ton of fun. 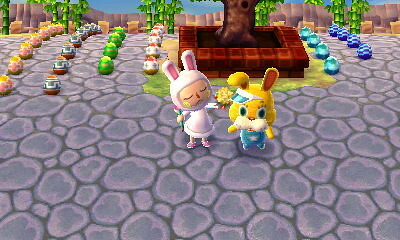 There was a special guest named Zipper T. Bunny who dances at the Town Plaza for the entire day, waiting for players to show him decorated eggs and foil to receive items from the adorable Egg Series. 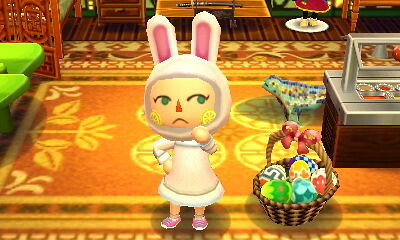 While it’s not an official Bunny Day costume, townies are encouraged to wear their finest Bunny Outfit, much like Mayor Neko did! 1. 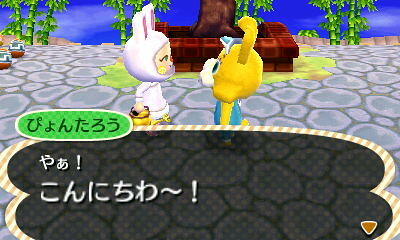 Talk to Zipper T. Bunny at the Town Plaza. He will ask you to collect 6 different types of Eggs and show them to him. 2. 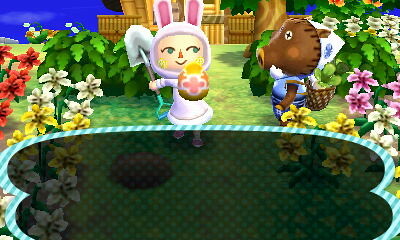 Search to collect as many Eggs as you can! Eggs can be found all over town! 3. 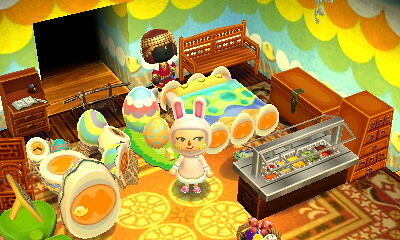 After you show Zipper T. Bunny all six varieties of Eggs, he will reward you with an Easter Basket! 4. Once you have been rewarded with the basket, you can start eating the Eggs. When you eat an Egg, inside you will find one of three things: Special Foil, Normal Foil or Candy. 5. Trade in Normal Foil for items from the Egg Series! Special Foil can be traded in for a framed photo of Zipper T. Bunny. Candy will give you nothing but empty calories and cavities. Bunny Day was so fun this year! I loved the new changes in this holiday. Finding eggs was so entertaining. 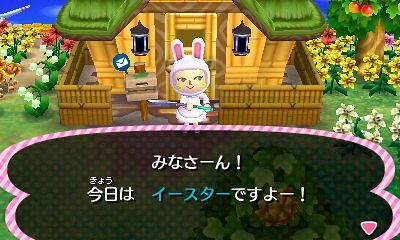 Zipper T. Bunny is very kind and will give you all the Egg Series furniture items in a row without duplicates for each Normal Foil that you give to him. Only once you’ve completed the full set will you start getting duplicates, which you can give to friends or sell for a profit! If you have multiple human characters in your game, use them! Each human character will get to play, so when you log in as a secondary character, new cracks in the ground will spawn, as well as rocks and other places to find eggs. The Wasabi News hopes that this guide was helpful to anyone who might be curious about Bunny Day! Please feel free to post any questions in the comments section! I love you get the complete set before the duplicates happen! Nice!! !